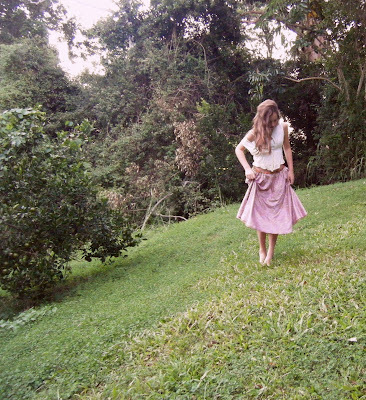 So here is my take on the winter long skirt- and mine is reversible and made by my Mother! I wore the other side (as a dress) in this photo shoot. It's amazing how many different ways you can wear something. So my take on the skirt is a little on the forest nymph side- considering the fact that I do not own any high heels, chunky knits (that look good with the skirt), satchels or maxi cardigans. But if you're planning to work the trend, it can go either way or you can give it a ladylike touch like my fellow blogger Maria. 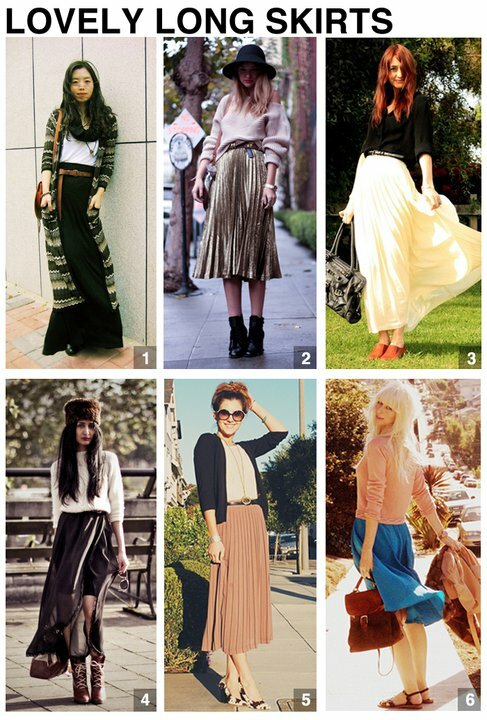 Thanks to lookbook for the trend filled first photo- I am planning to work one of their other trends sometime soon. So work that nymph-like ensemble. cute photo i'm definitely into maxi skirts but still haven't found the perfect one! thanks for your lovely comment. Definitely following you back! What a great idea to have a reversible skirt!